"This is the type of show TV networks want so we are producing them." 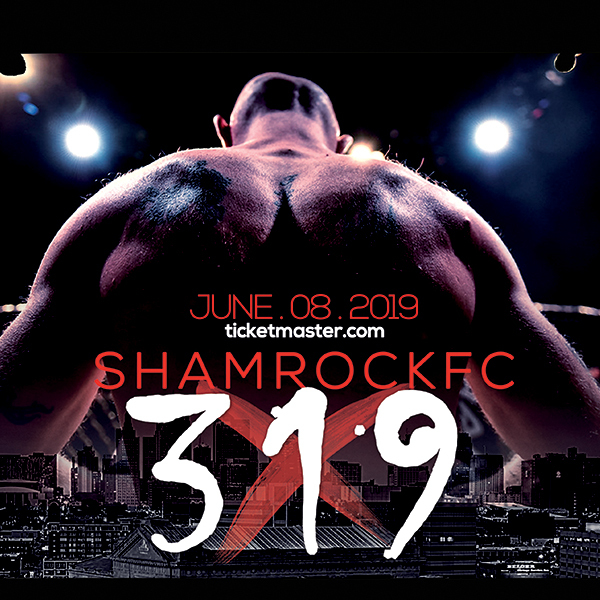 Shamrock FC President Jesse Finney said. "We are not going to buy ourselves onto TV like other organizations have done and failed. We are going to earn our way with shows like this and the one in St. Louis on March 21st." In January, Rudy Bears stamped his name on the first Bellator contract with his victory over Josh Weston in the main event of Shamrock FC: Shock. With the win Bears got a guaranteed spot on an upcoming Midwest Bellator, and a gilded chance to win up to $25,000 with a victory and bonuses. On March 7th, Marcus Sursa and Kelvin Tiller will get their shot when the two battle for the promotion's light heavyweight title and that golden ticket. With a lot on the line, this fight has the potential of fight of the year written all over it. "Fireworks" Finney said. 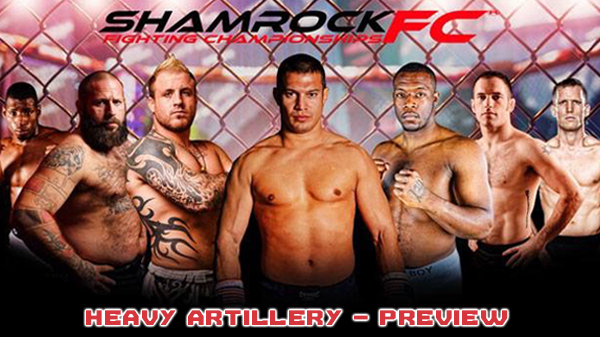 "The Shamrock FC 205 title and a 3-fight Bellator deal on the line with this one." For the "Mama's Boy" Kelvin Tiller, this will be a chance at another run with the promotion. Tiller (6-1) fought on the undercard of a Bellator card in October of 2011 when Bellator was last in Kansas City, Tiller won a split decision over Dan Spohn. He then returned seven months later for what would be two more fights with the company. While he won all three of his bouts, he battled weight issues, and would eventually get released from his contract. He would rebound to World Series of Fighting where he dropped the first loss of his career against Elvis Mutapcic. Sursa defeated Matt Uhde last November in a title eliminator match. The flashy, and heavy handed Sursa (15-8) will bring over 20+ professional fights with him to the cage and has won his last four. We like Sursa in this one based on his experience and tremendous power in his hands, but Tiller is a gamer and always seems to rise to the occasion when needed. Headlining "Heavy Artillery" will be Kansas City's top gun, Bobby Voelker. Voelker, a staple of KC MMA for many years, had an nice run with Strikeforce (4-1) and eventually the UFC while putting together an impressive highlight reel of exciting fights and brutal finishes. Voelker landed with Shamrock after losing four straight in the UFC, and rebounded with a brutal first round KO of Cedric Marks last September. Voelker will take on Justin "The Pain Train" Guthrie (17-7) out of Colorado Springs, CO. Guthrie has won six of his last nine, but has only competed three times in the last two years. For Voelker this is just another step on the road in his return to a major organization. He has chosen to stay close to home to train and fight rather than grind it out on a second tier promotion like World Series of Fighting or Titan FC. "Do or die fight." Finney said. "He needs this fight plus a few more then it's back to the UFC or Bellator." Dustin Kramer and Malsh0n Ball will battle in an exciting bantamweight match. Kramer won his professional debut last September after a great amateur career. Billy Benz will make his long awaited pro debut when he takes on Zack Mead, and 2-time Titan FC vet Adam Stickley will face Nebraska's Grant Dawson to round out the main card.